Jamie Oliver is a global phenomenon in food and food activism. Over a seventeen-year television and publishing career, he has inspired millions of people to enjoy cooking from scratch and eating fresh, delicious food. Jamie started cooking at his parents' pub, The Cricketers, in Clavering, Essex, at the age of eight and has since worked with some of the world’s top chefs. His television and publishing career began in 1999 with The Naked Chef series. He has set up two Fifteen restaurants in England, garnered international acclaim for his Barbecoa and Jamie's Italian restaurants, changed school dinners in the UK, and revolutionized home cooking. The Jamie Oliver Foundation seeks to improve the lives of people all over the world through food education. 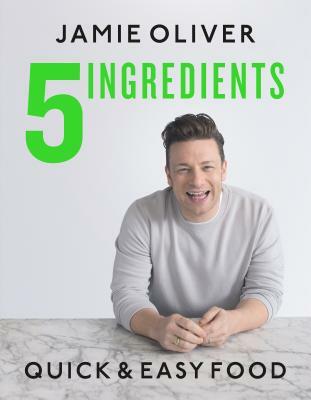 Jamie writes for publications in the UK and around the world, including his own Jamie Magazine, appears on his YouTube channels Jamie Oliver’s Food Tube and Drinks Tube, has five award-winning apps, and has published more than fifteen bestselling cookbooks, including Cook with Jamie. He starred on the ABC TV show Jamie Oliver's Food Revolution, where he took on health and diet for children in the United States. Jamie lives in London and Essex with his wife, Jools, and their children, Poppy, Daisy, Petal, Buddy, and River.